This work has shown how to control the growth of a single facet in a material by employing a highly ordered metal-organic framework such as ZIF-67 to increase the desired reactivity, selectivity and longevity of that material. 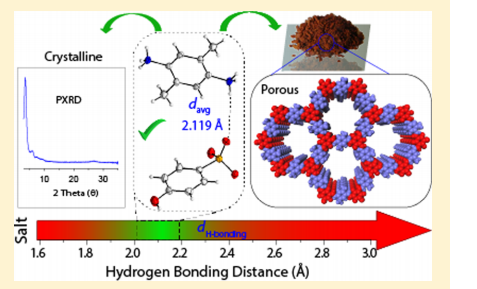 This work reports a solvent-free solid-to-solid synthesis method for covalent organic frameworks (COFs), which is very promising from a greener and cleaner chemistry standpoint. The researchers found that hydrogen bonding within the starting material plays a key role on the porosity and crystallinity of the final COF. 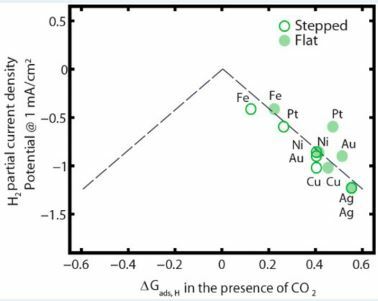 This work describes an approach to prevent self assimilation of catalysts to increase their lifetime. It also finds a Hammett correlation between different substituents present on the catalysts and the rate of catalysis in both homogeneous and heterogeneous phase. 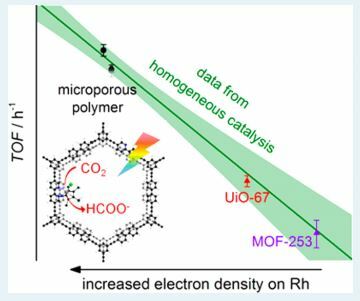 A structure-function relationship has been established for a cobalt containing Metal Organic Framework (MOF) that catalyzes carbon dioxide reduction very efficiently. It has been established that the hydroxyl groups coordinated to the metal co-operates to enhance the catalysis by forming H-bond network with CO2. Let’s learn how the authors performed a systematic and thorough investigation on these MOFs. In this work the authors discussed how and why a self-healing mechanism works for their catalyst, as well as how to rationally design other self-healing water oxidation catalysts by better understanding the kinetics of the key catalytic steps. 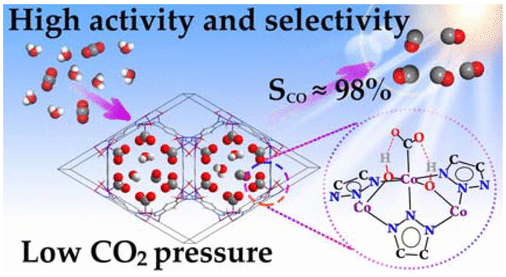 This work shows that bicarbonate (HCO3-) is neither a general acid nor a reaction partner in the rate-limiting step of electrochemical CO2 reduction catalysis mediated by planar polycrystalline Au surfaces. Kinetic modeling studies and electrochemical experiments suggest that it acts as a proton donor in steps past the rate-limiting one and a buffer in the solution. 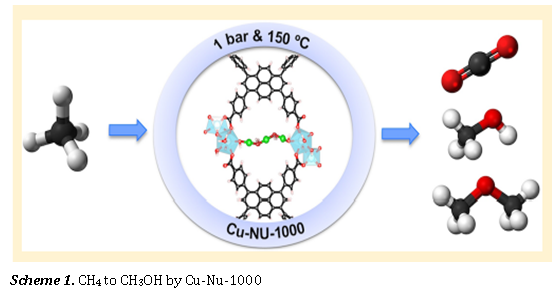 This works explains the design principle of a novel methane oxidation catalyst by putting together Cu and NU-1000, a Metal Organic Framework with heightened structural stability. It also uses various spectroscopic technique to assign the oxidation state of the active catalyst which in turn is the source of higher selectivity in the catalytic reaction.